To modernize this older home and increase the living space, we added a two-story addition of over 2,000 square feet, along with a 500-square-foot porch. This massive renovation project took months to complete, but the result was well worth it. From flat wiring and tankless water heaters to engineered ceramic tile and soundproofing drywall, we take a look at a range of innovative products for your home from the International Builders’ Show. Watch this video to find out more. 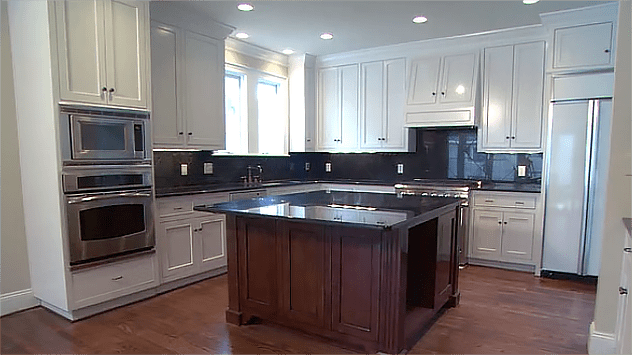 Find out how we remodeled an older kitchen that was past due for a complete makeover, including cabinets, countertop, and island. Watch this video to find out more. Find out how we tackled four home improvement projects including replacing a front porch and adding crown molding to a room. Watch this video to find out more. Roofing your home isn’t a DIY project, but it’s important to know how to choose a roof and what to look for when hiring a roofer. Watch this video to find out more. We visit an energy efficient, eco-friendly neighborhood in Atlanta for tips on how to save energy and water, use green building materials and methods, and live a healthier lifestyle. Watch this video to find out more. In the second of our two-part bathroom remodeling project, we put the finishing touches on the renovation of two different bathrooms. Watch this video to find out more. In the first of our two-part bathroom remodeling project, we gut a cramped, dated bathroom and remove walls to start the transformation to a luxurious bathroom.